Lately, I have been noticing -- and loving -- kitchen utensil graphic patterns. Branch Home used to (but it seems they are no longer available) carry these cute little kitchen tea towels. From Joseph Joseph, a Workstop Saver called "Kitchen Tools" is both colorful and useful as a kitchen tool. You can find this product, and some of my other favorite products, in the Sweet Kiera Shop. Buy stuff to support my butter expenses :). These Kitchen WallStickers, in Red or Black, from Ferm Living are really neat. You can even rearrange the pattern if you want by cutting up the sheet of decals. Maybe that's too modern for you. Then just kick it old school with this vintage kitchen utensil wallpaper. This graphic print by Antigraphic takes the concept outside the lines a bit with this hand screen printed image called "Kitchen Utensils 2". 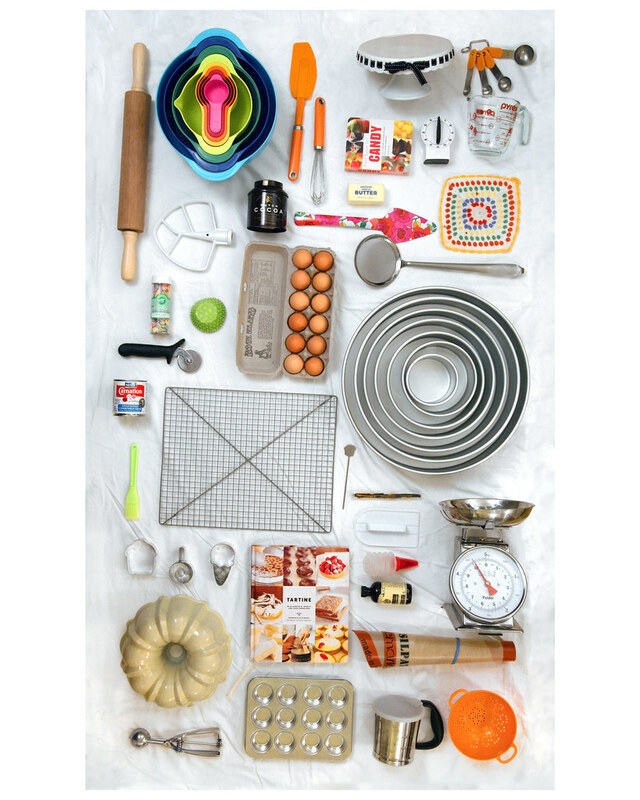 This one is very much up my alley, a print by Flowers in May called "Today I feel like baking". I love this kitchen calendar by "nicodemusgreen" on Etsy. It comes in English, but I kinda like this one in French.